Kohlrabi is called as ‘Navalkol’ in Konkani and ‘Navil Kosu’ or ‘kosu gadde’ in Kannada. ‘Sukke’ is usually a side dish prepared with some kind of vegetable or sea food and coconut masala. This dish has a sweetish and spicy taste because of the jaggery and red chilies in it. This is one of my all time favourite dishes. When I was a kid, I had grown these in my neighbour’s fields. Our neighbour(fondly called as mami) grows lot of different vegetables in their field. As I had the “madness” of growing vegetables for a short period of time, she allowed me to grow all kinds of vegetables along with her in her garden. Ofcourse, she used to nurse my plants. I only watered those plants and claimed they are mine whenever we went to the field :). Fry the coriander seeds, urad dal in oil and grind with chillies, coconut. Fry onions. Add cooked kohlrabi pieces along with jaggery and salt. Add ground paste and cook till it becomes kind of dry. 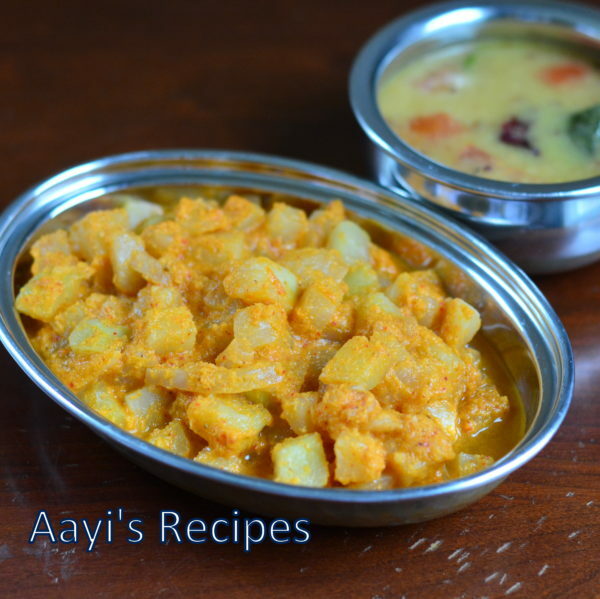 A sweetish spicy kohlrabi cooked in a coconut masala. Cut Kohlrabi in small pieces. If the skin is thick and hard, peel it, otherwise use with skin. Heat ½ tea spn of oil and fry coriander seeds and urad dal. 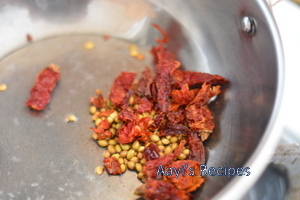 Grind them with coconut, red chillies and tamarind by adding just sufficient water(do not make the masala too watery). Heat remaining oil and fry onion. Add cooked kohlrabi and ground masala, jaggery. Add salt and cook till masala is done and the dish becomes almost dry. Serve as a side dish with rice and dal/gravy or with chapati. Updated on 9/10/2017 with details and pictures. This is the winter I am going to try cooking kohlrabi – and will begin with this recipe. Sounds delicious, thanks! Hi Shilpa….What is this vegetable. I have never eaten it, although i have heard of it a couple of times. Also where do you get this, in the American store or Indian store? Thanks for this new recipe, i am going to try it, once i get this vegetable. kohlrabi can be found in the vegetable (produce) dept of most large supermarkets. At least that is the case here in Canada. It is worth a try. shilpa, your variation is simply delicious…. 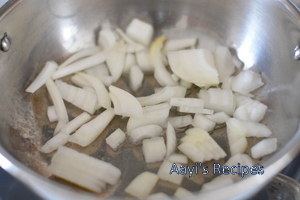 Many of ur recipes are new to me…. It is very interesting to read ur postings. sure am learning a lot of dishes from u..
what is this vegetable.. can u post the picture of the vegetable.. what is it called in english? Great! I like cooking this veggie occasionally, but have only two recipes for it. Glad to have a third one now. 🙂 Thanks. Though I have seen this veggie many a time never tasted it.. Now that I have a recipe will try sometime..Thnx for a good one. I just tasted kolrabi sambar this past weekend. This looks delicious too. Will definitely give it a try. Thanks for sharing. Hi Shilpa …From the link the picture was not very clear, now since you have posted the picture, i do recollect that i have seen this veggie everytime, i go to the stores. But i did not know what you do with it. Now i have the recipe, i can go ahead and buy it . Thanks for a different recipe. It was nice of u to post the picture of kohlrabi shilpa.. I think we call Noolkol in tamil.. iam not sure abt it.. but i know the veg now. This vegetable is known as Knolkol in tamil and Ganth Gobhi in Punjab. It is a part of the cabbage family. hi shilpha, I wanted to know whether u can do any dish with kohlbari with the leaves………Coz we do a gujarathi type of dish with mulangi along with the leaves…..So plz tell me whether u can do anything with that…. Thanks all for the different names of the vegetable. Do you peel it, then chop into pieces? What do you do with the stem? Do you eat the purple kohlrabi too? Was planning on trying out some of your recipes and was wondering what do you do when you get the fresh coconut, how do you keep it and do you use it all. 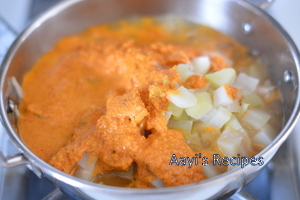 Do you find any difference in the frozen ones when it comes to the taste of the curries? Do you know US English name for Navalkol? I would like to mention, my mother in law taught me to eat leaves of navlkol instade of throwing those off. Make a phodni (oil+ Mustard seeds, cumin, garlic ) add these leaves, add salt, Garnish with roasted dry coconut. Also vitamins in leaves are much more than that of Navalkol itself. very nutritious. [WORDPRESS HASHCASH] The comment’s server IP (208.97.167.25) doesn’t match the comment’s URL host IP () and so is spam. “Cook Kohlrabi in cooker” is not very specific. Could you explain this more clearly please. 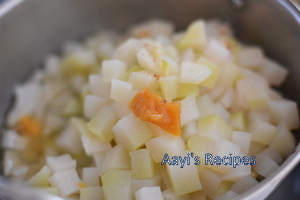 Shilpa: Cut kohlrabi into small pieces. Add about 1/2 cup water to it and cook in pressure cooker till it is cooked. 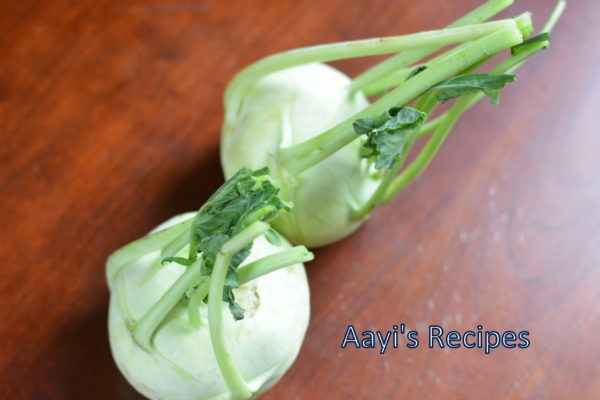 Hi Shilpa…..its been a long time since i browsed your blog….was a bit busy……we hardly get kohlrabi here but by chance i got my hands on a few & came to your blog to look for a recipe & as always was glad to try this one….its was awesome!! Thanks for sharing & keep up the great work you are doing! Can any one kindly post the benefits of eating this navil kosu raw? I have heard it’s very good for diabetes. Nice recipe. Should the red chille be grinded too? Thanks Shilpa for his wonderful recipe.Had never tried this vegetable before as I did nt know how to make it .It tasted great!